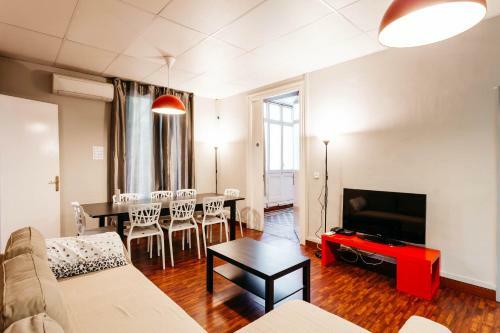 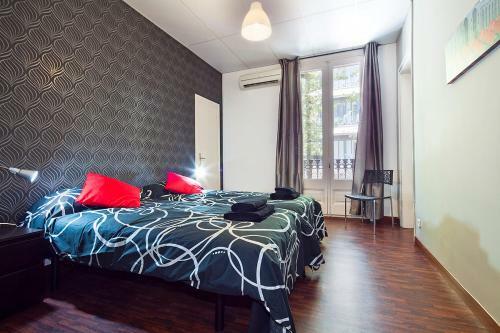 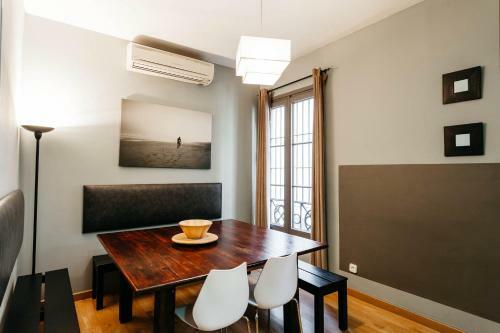 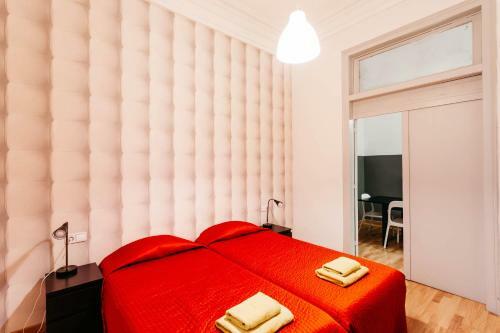 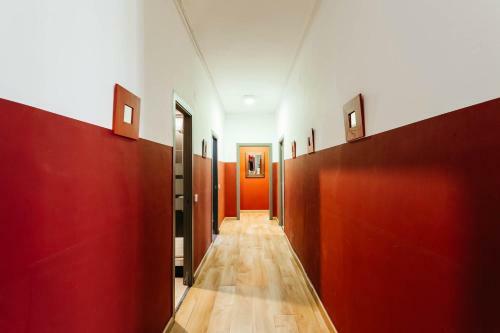 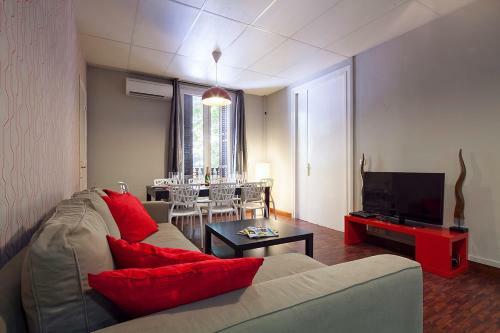 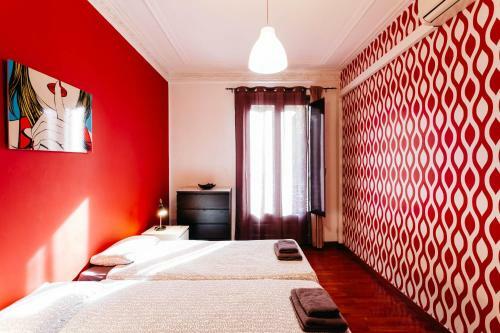 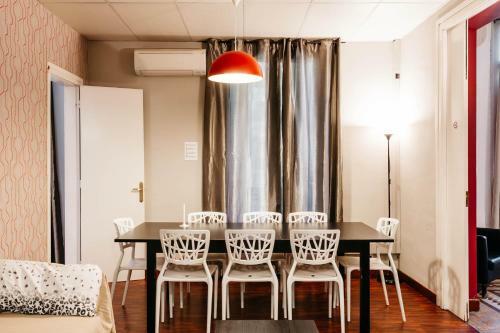 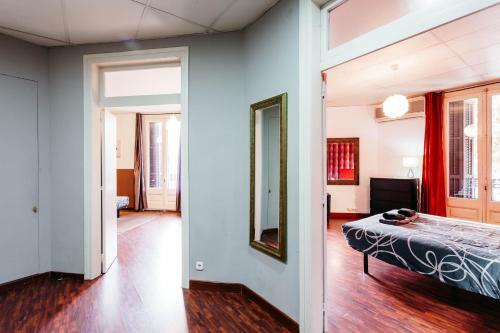 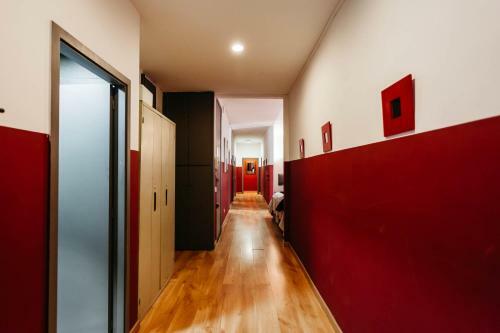 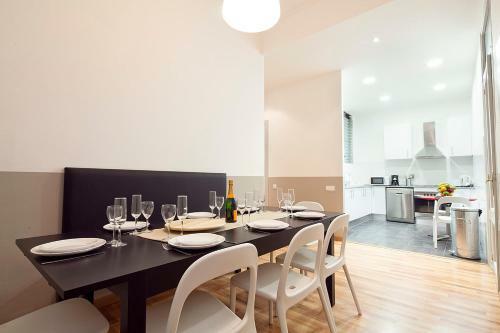 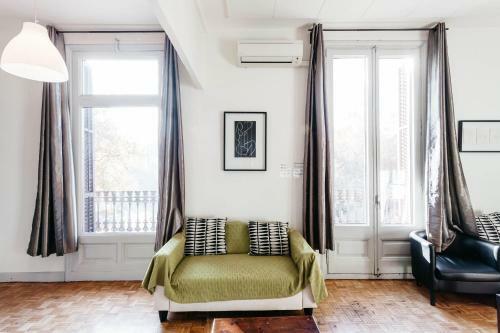 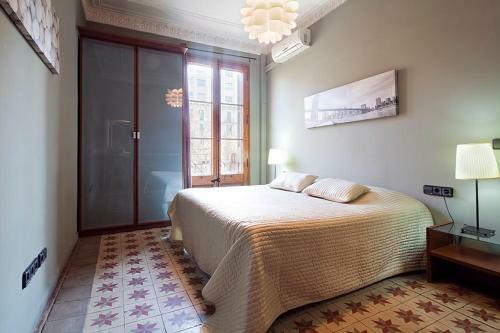 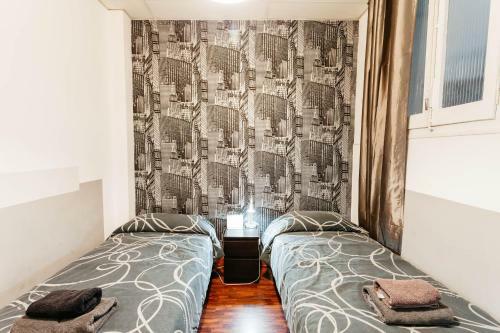 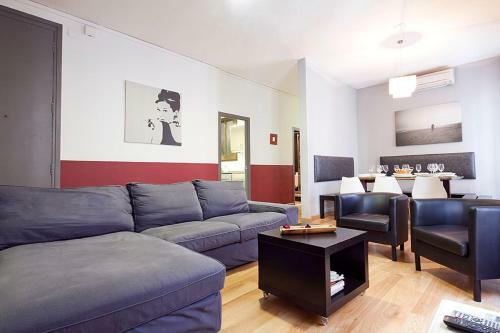 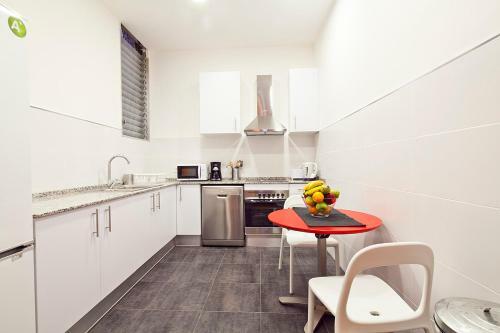 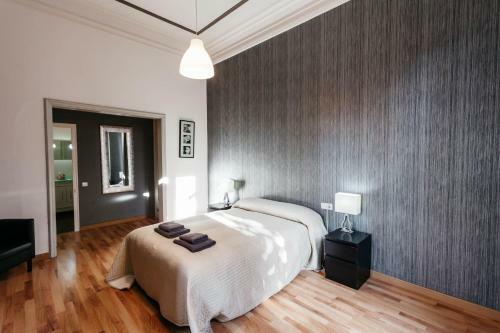 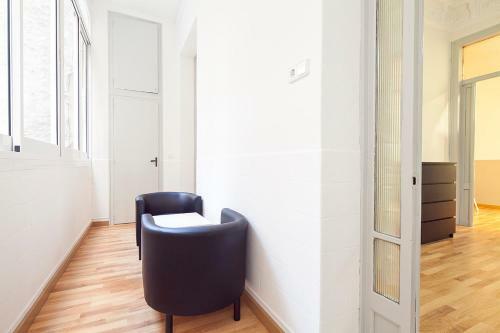 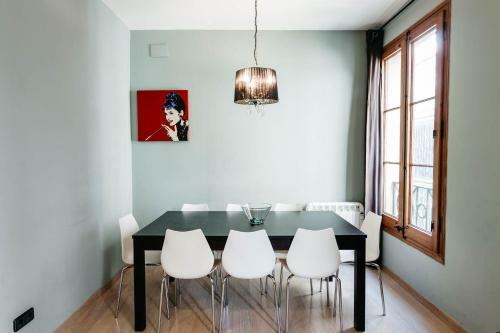 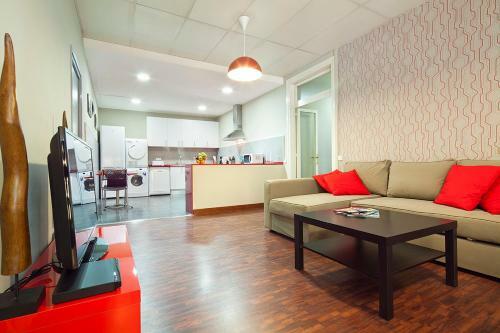 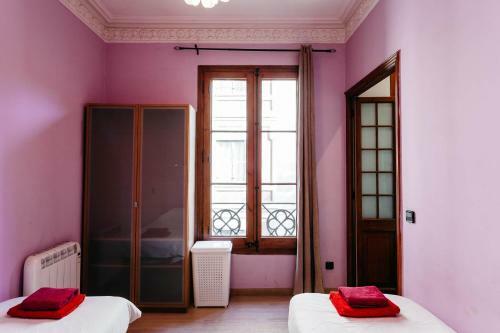 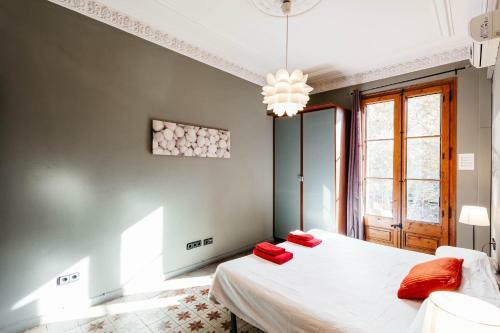 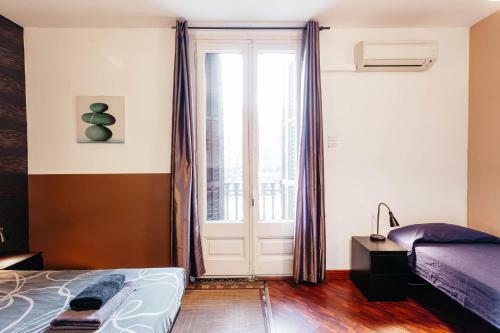 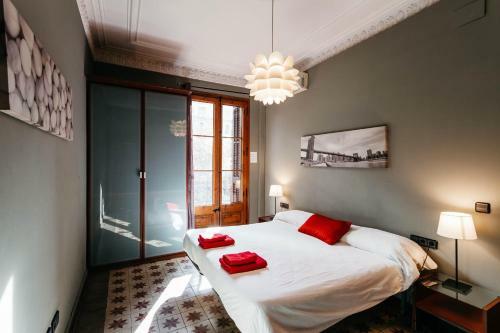 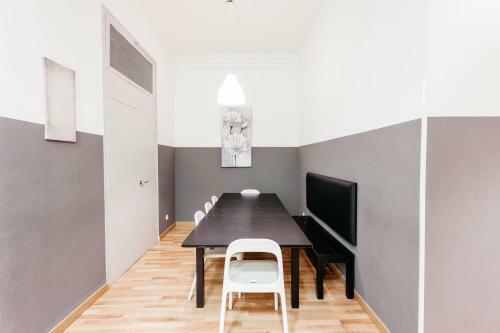 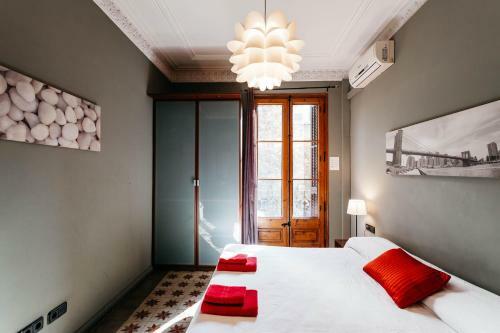 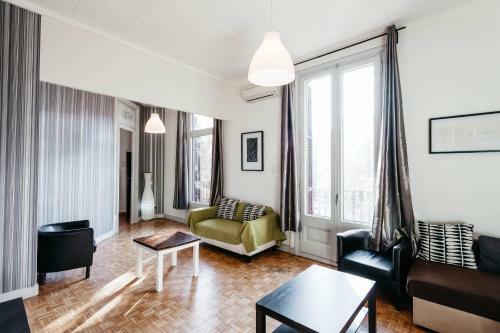 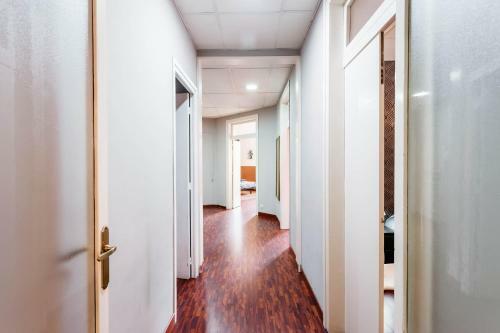 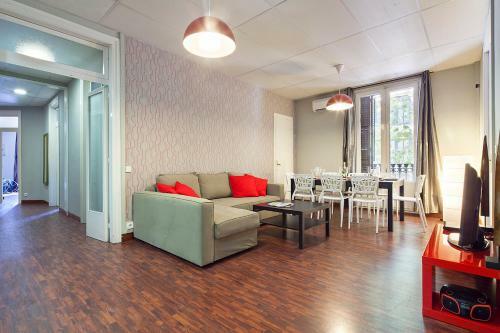 Featuring free Wi-Fi and air conditioning, Samflat Barcelona offers apartments at different addresses in the centre of Barcelona. 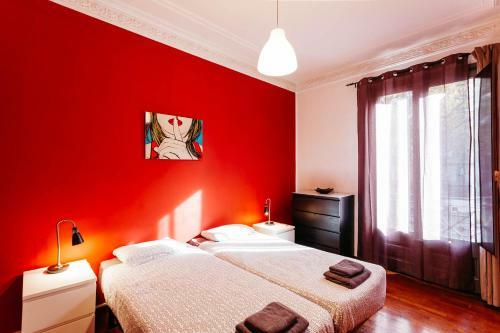 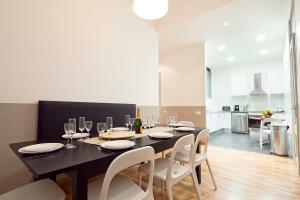 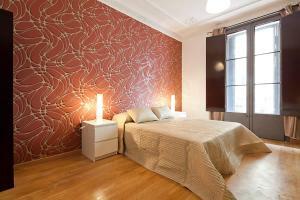 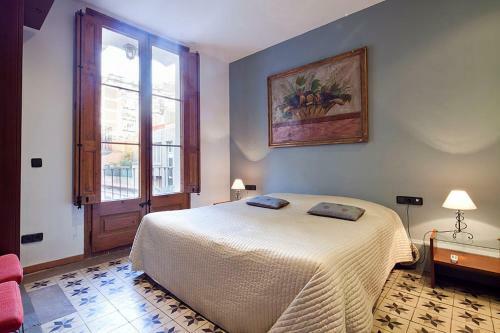 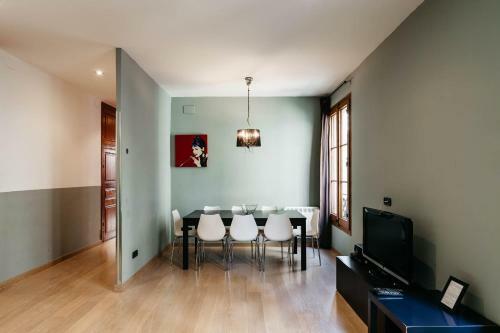 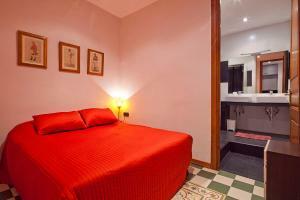 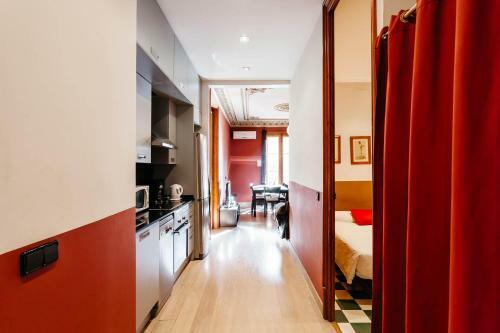 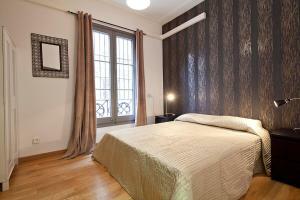 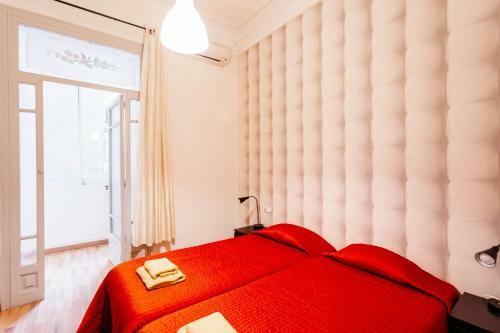 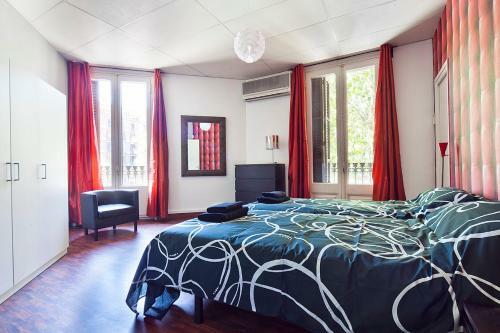 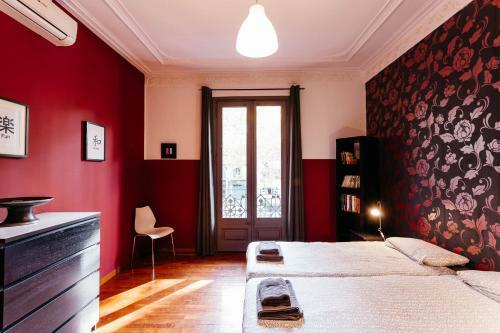 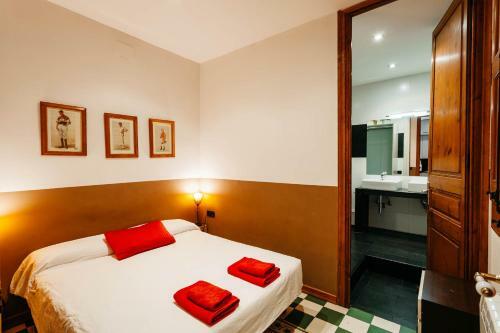 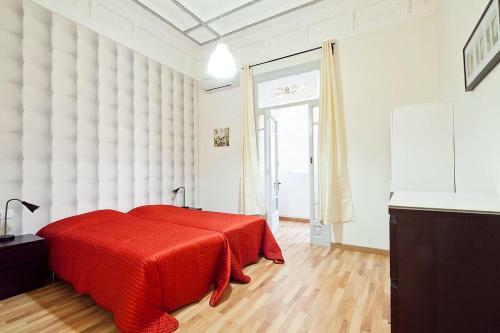 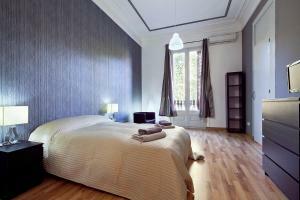 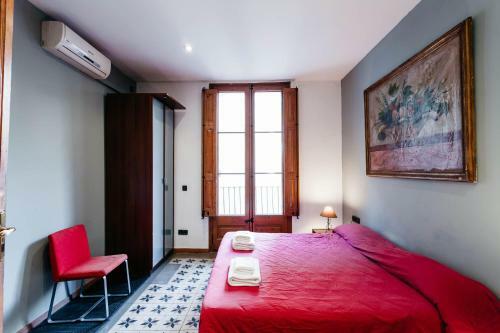 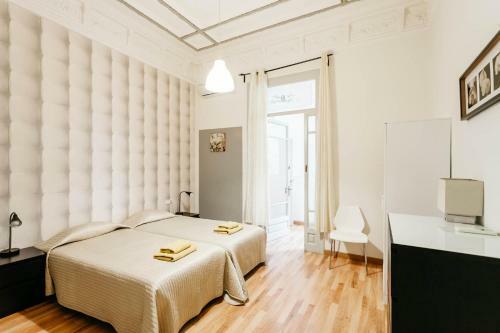 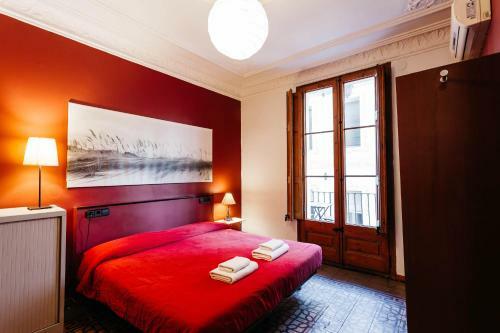 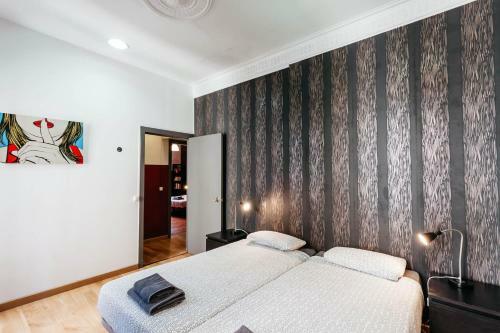 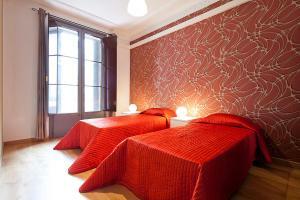 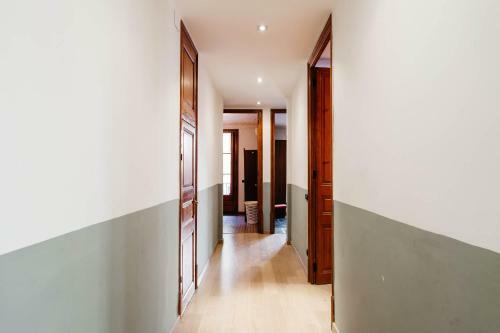 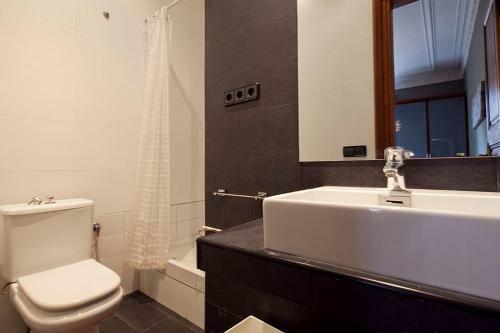 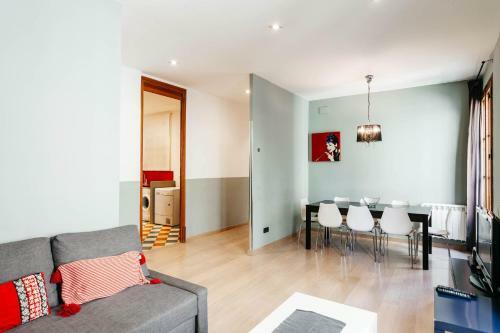 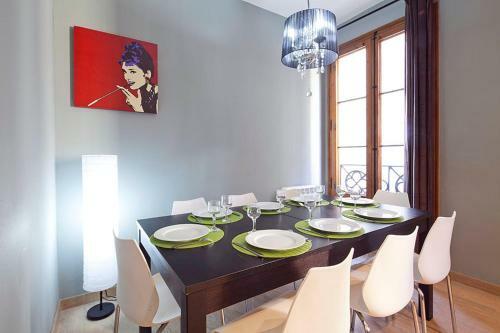 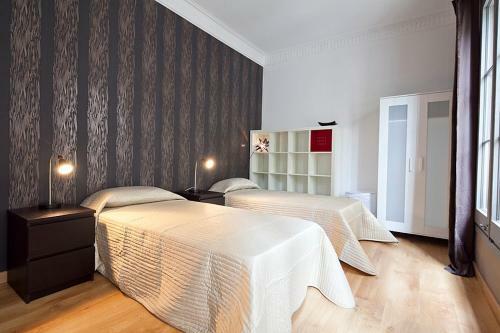 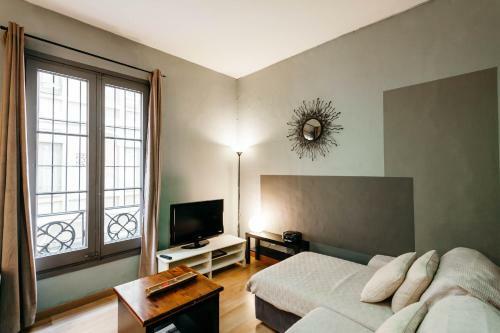 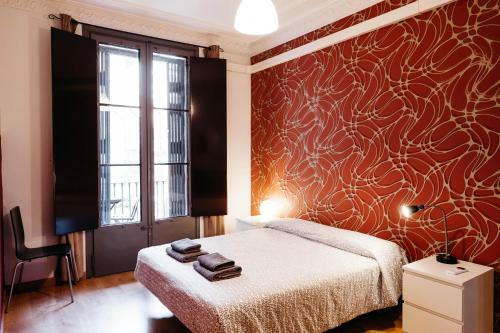 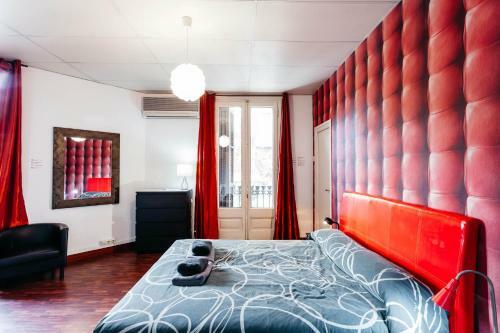 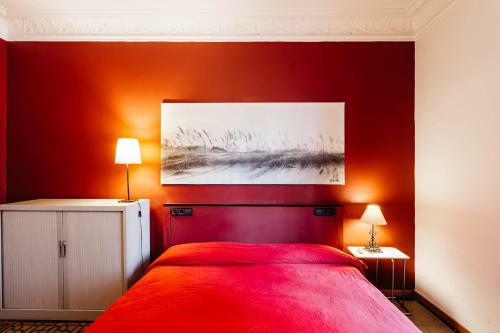 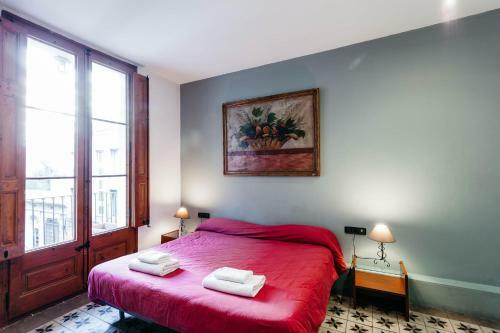 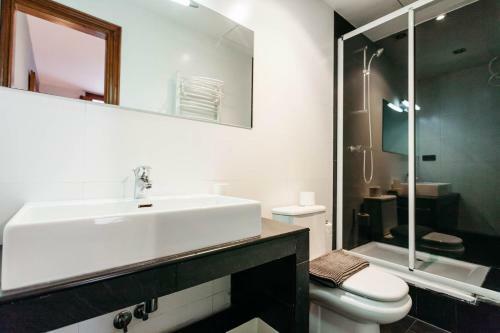 Plaza Catalunya and MACBA Art Museum are 10 minutes’ walk from the apartments. 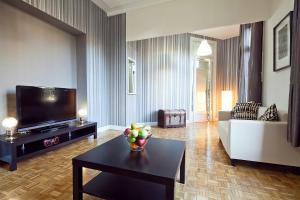 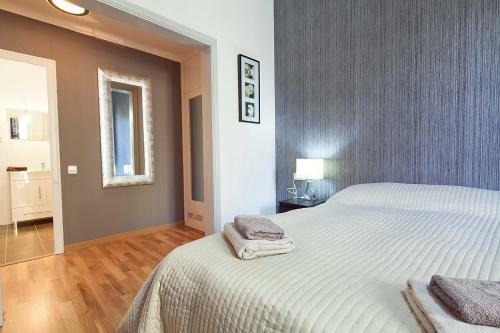 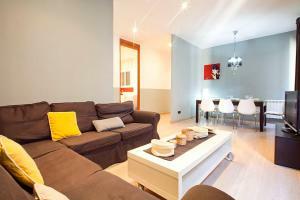 Each stylish apartment has a living room which comes with a flat-screen TV, a DVD player and a sofa. 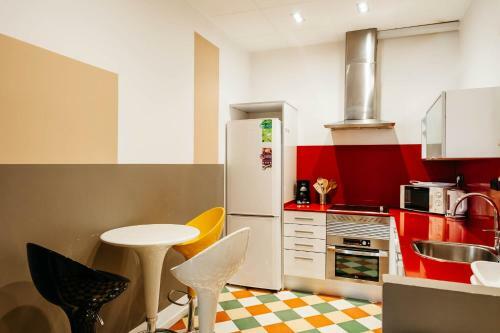 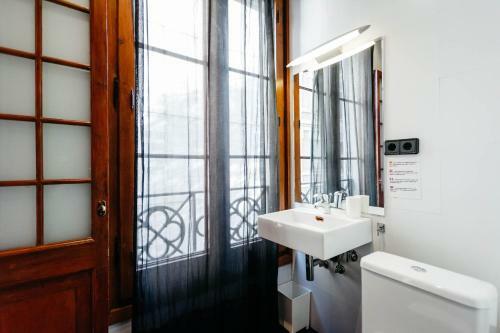 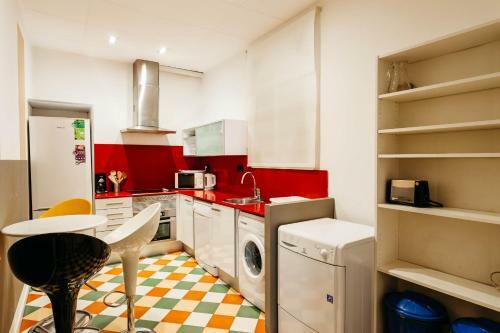 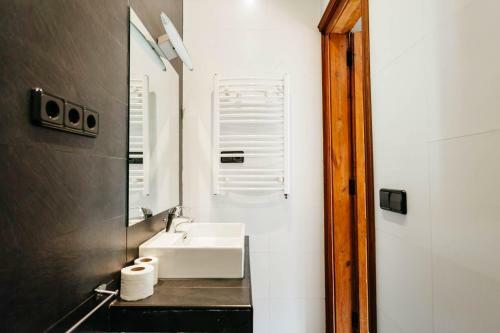 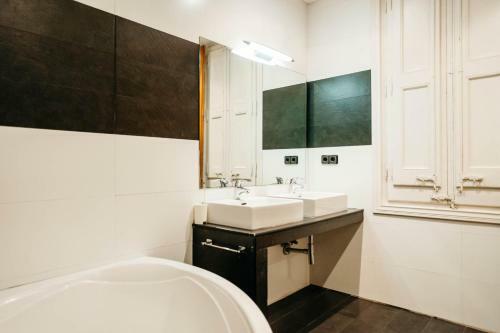 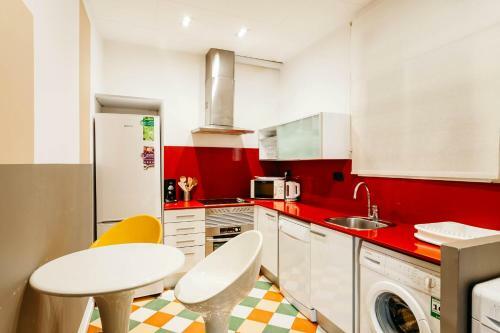 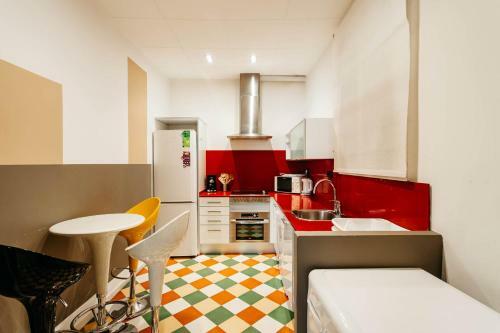 The fully equipped kitchen includes a dishwasher and an oven, while bathrooms at Samflat Barcelona feature a hairdryer and a shower. 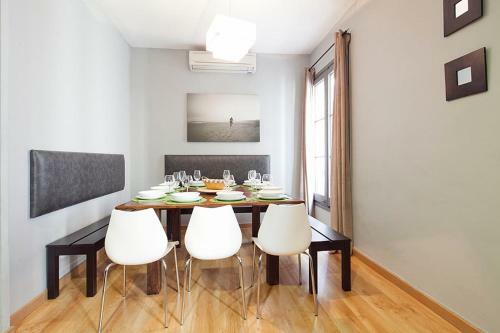 A wide range of bars and restaurants offering traditional Catalan and Spanish cuisine can be found all over the Eixample District, where the apartments are located. 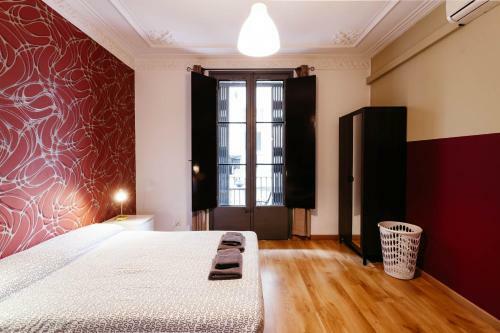 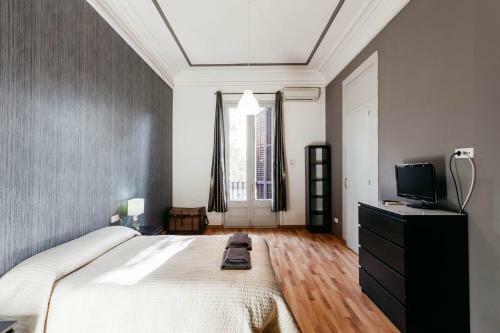 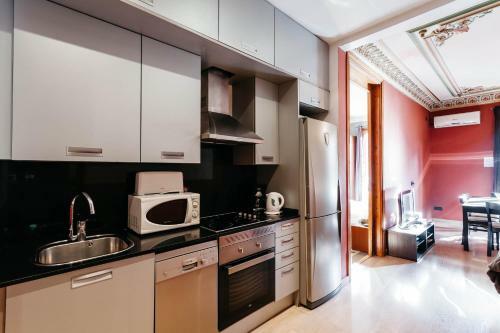 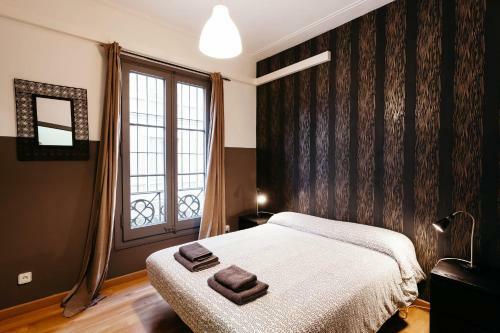 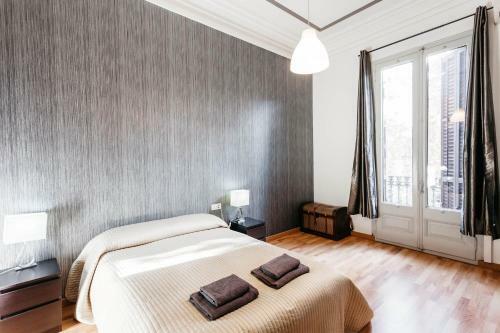 The famous La Rambla Street, with its living statues, and Paseo de Gracia Street, well-known for its luxury shops, are 15 minutes’ walk from the apartments. 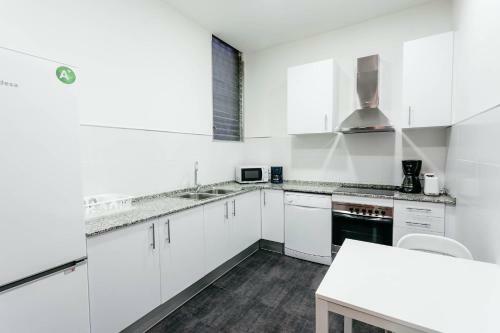 Please note that key collection is from 14:00 until 19:00. 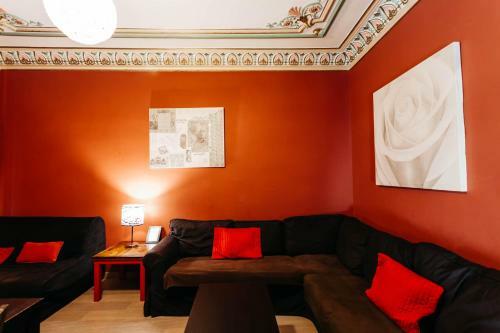 A € 30 surcharge will apply if you arrive between 19:00 and 23:00. 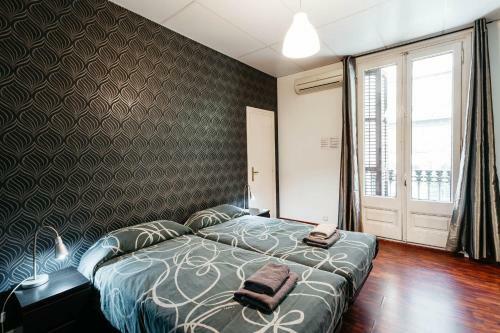 A € 50 surcharge will apply if you arrive between 23:00 and 00:00. 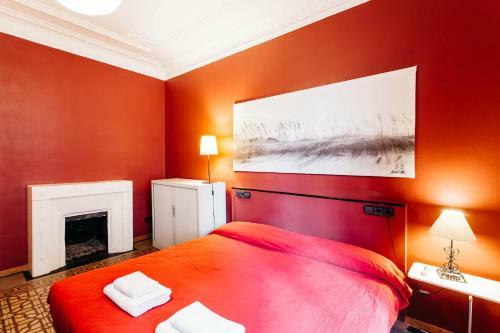 A € 30 surcharge will apply if you arrive on Sunday or on a bank holiday. 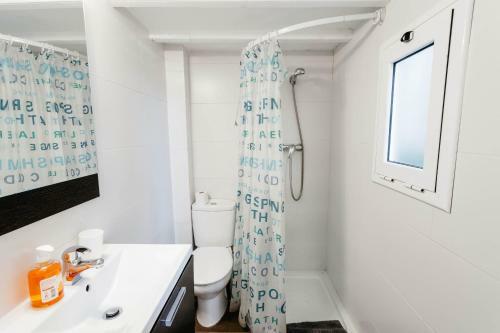 Please note that Samflat has no reception. 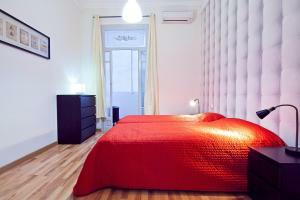 You can collect your keys at the address stated in the booking confirmation. 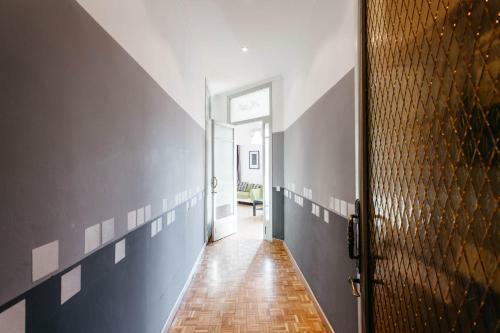 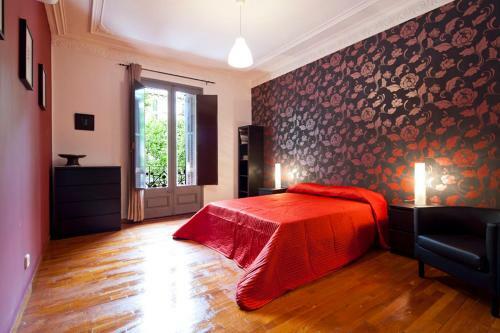 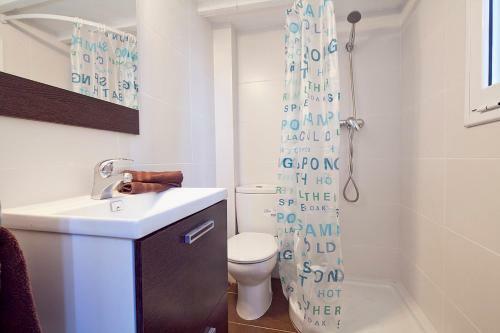 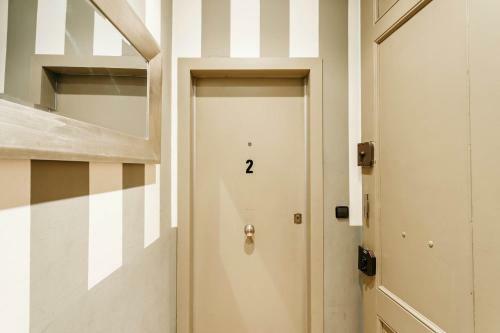 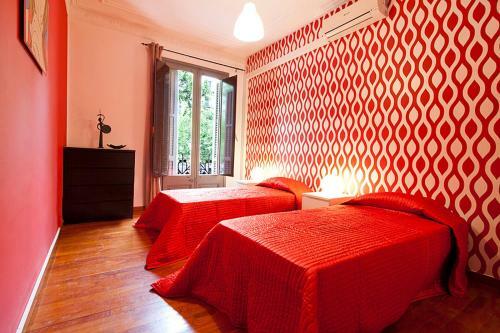 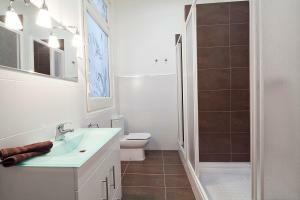 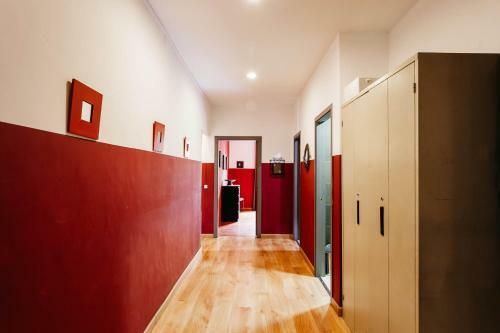 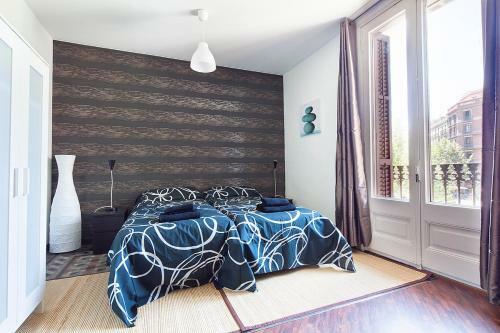 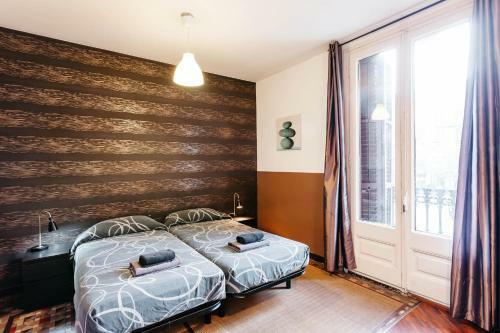 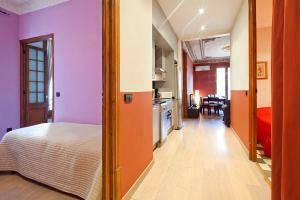 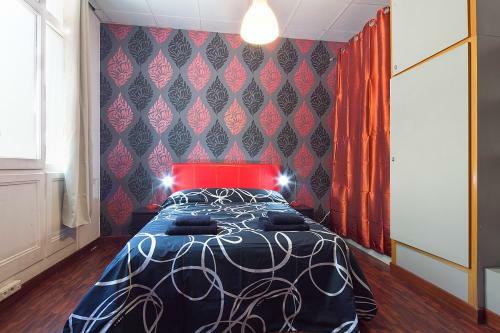 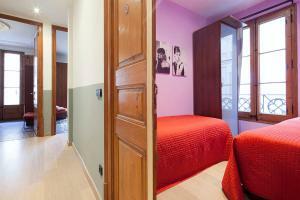 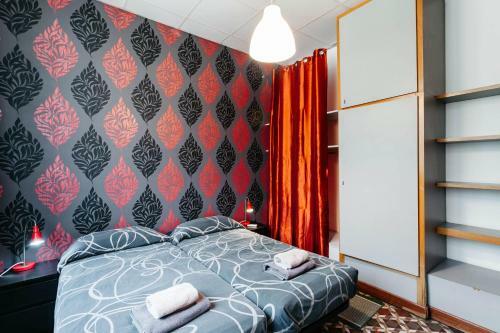 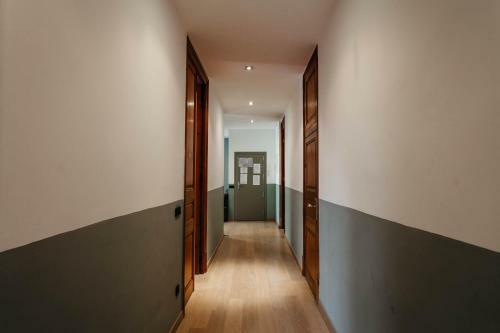 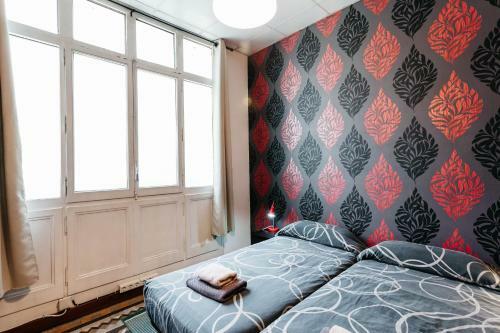 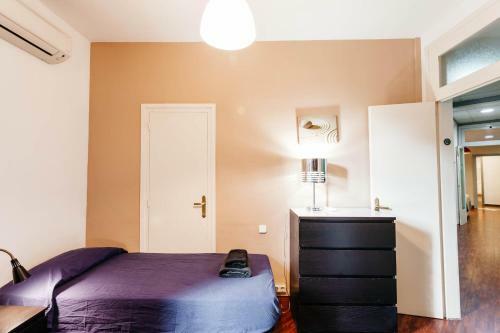 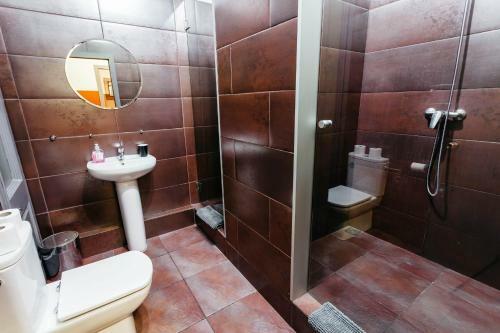 There is a damage deposit of € 500 for the Three-Bedroom Apartment and the Superior Three-Bedroom Apartment. 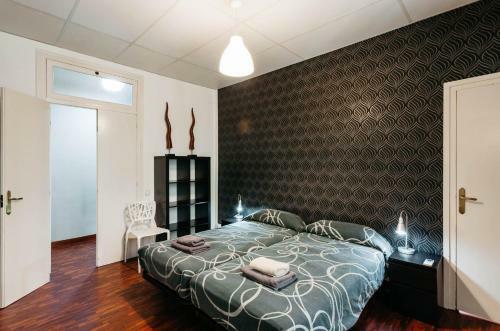 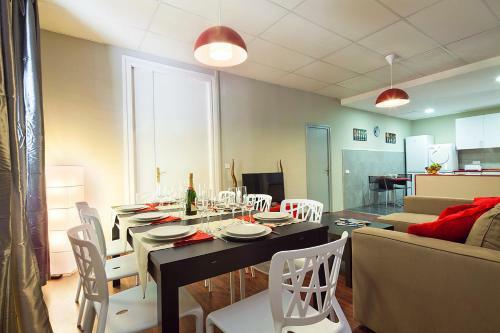 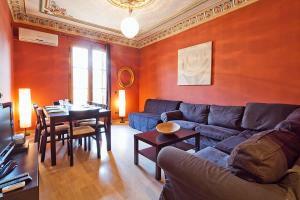 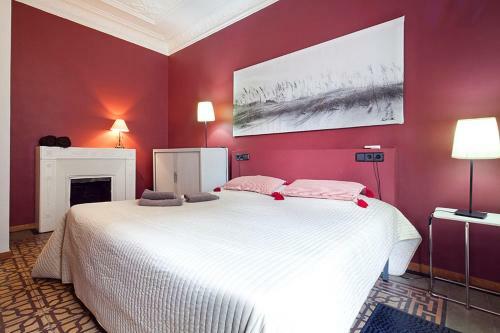 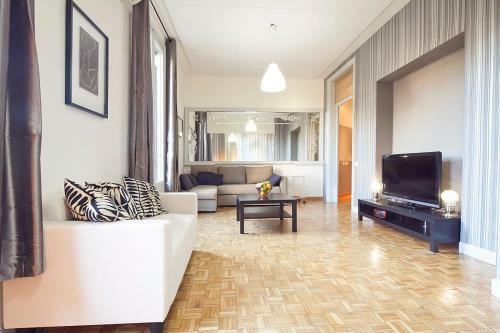 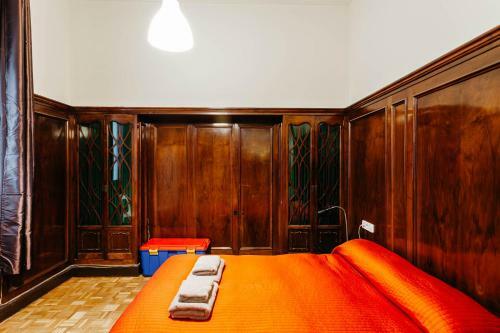 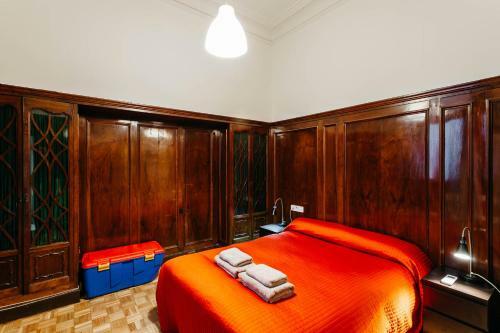 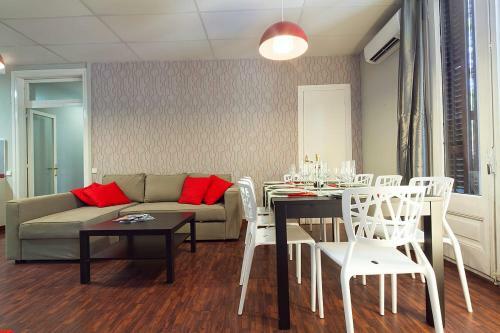 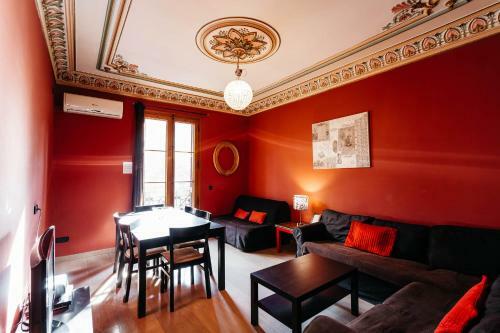 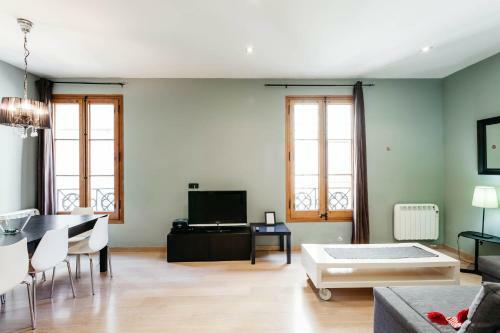 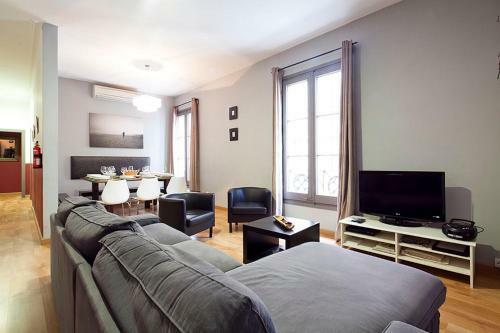 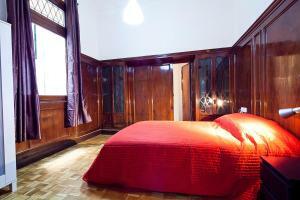 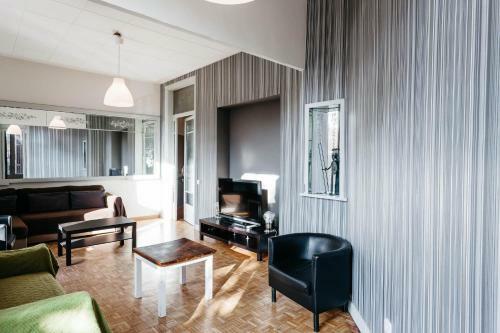 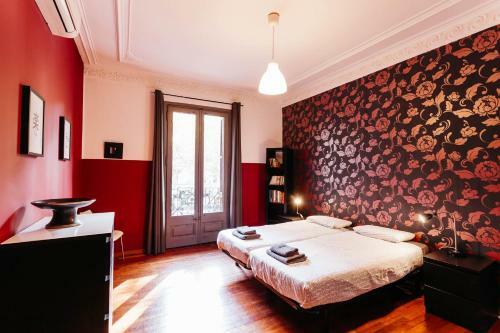 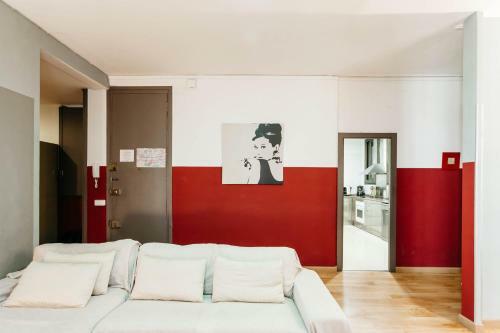 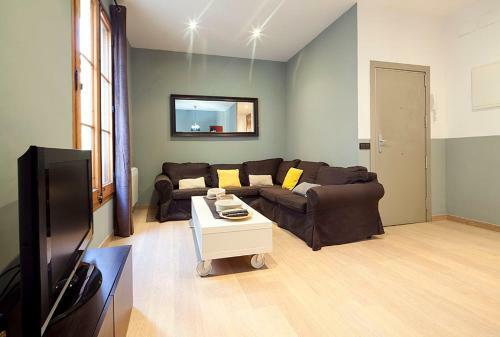 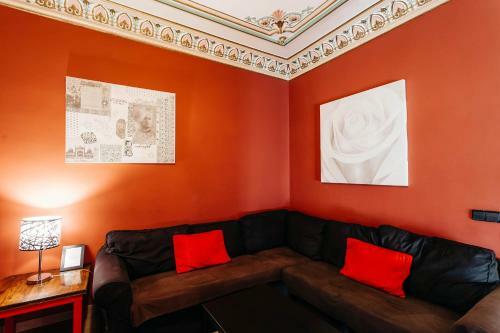 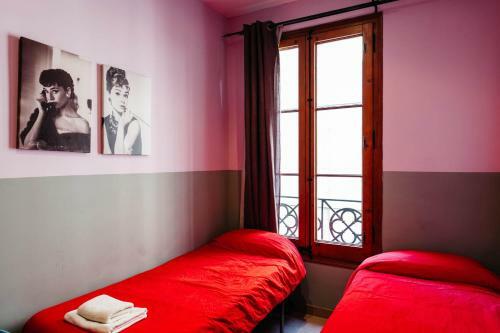 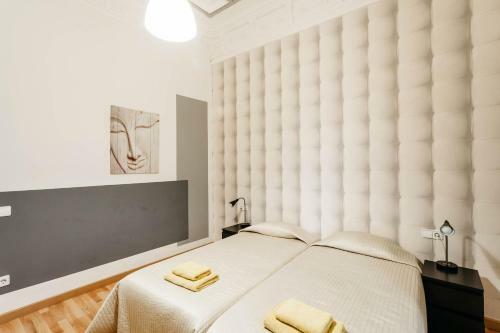 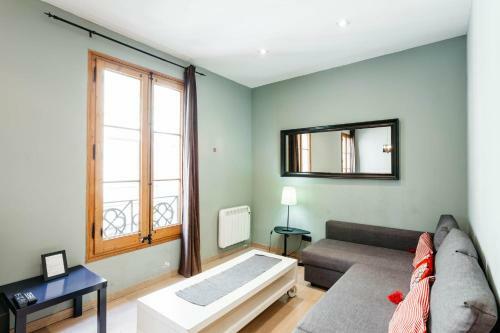 This spacious apartment has a living room with a flat-screen TV, a DVD player and a sofa. The fully equipped kitchen includes a dishwasher and an oven, while the 3 bathrooms feature a hairdryer and a shower. 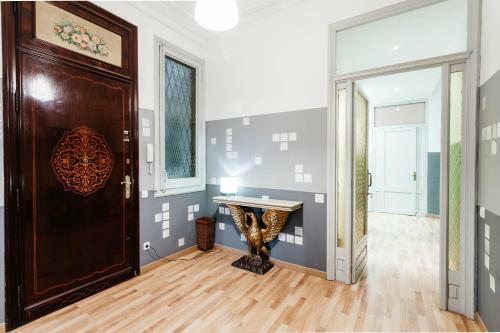 The apartment also has a balcony featuring city views. 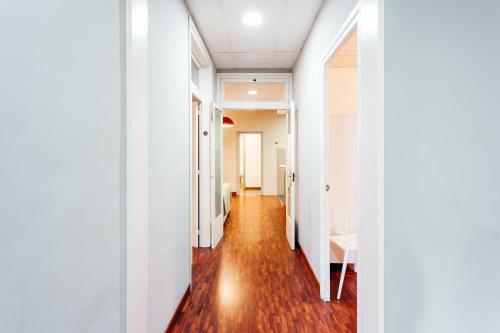 Address: Gran Via de les Corts Catalanes 561, Escalera derecha, Entresuelo 1. 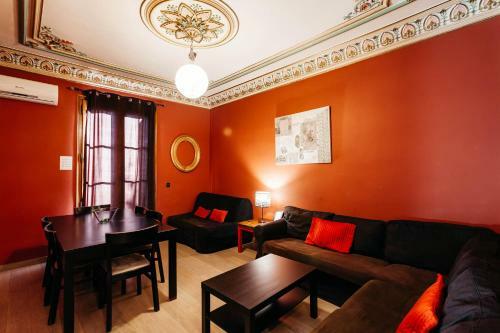 This spacious apartment has a living room with a flat-screen TV, a DVD player and a sofa. 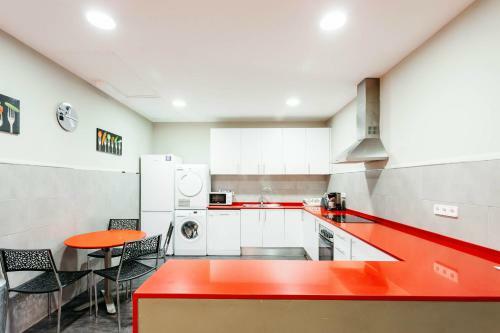 The fully equipped kitchen includes a dishwasher and an oven, while the 3 bathrooms feature a hairdryer and either a bath tub or a shower. 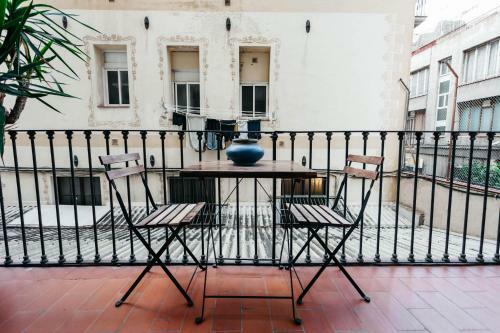 The apartment also has a balcony featuring city views. 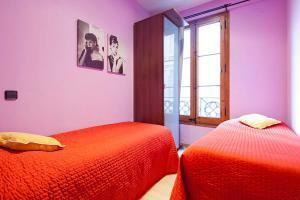 Address: Gran Via de les Corts Catalanes 561, Escalera derecha, Principal 2. 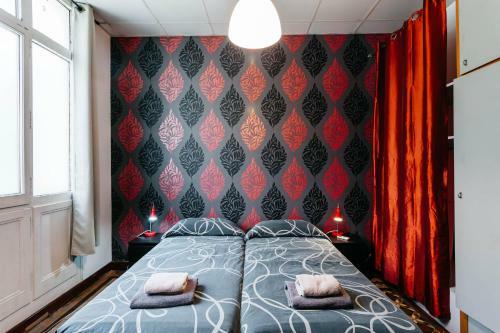 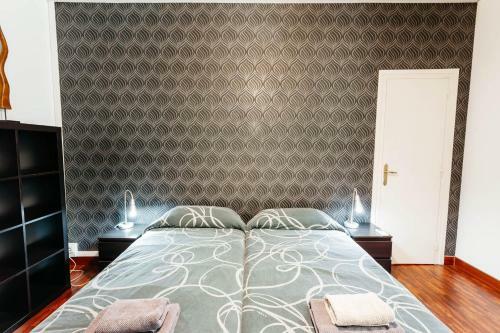 Rate: € 162.22 ... € 468.18; select dates below to get current rates. 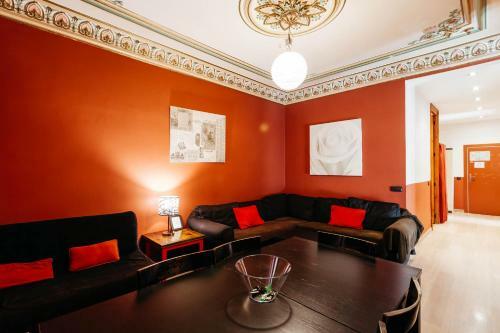 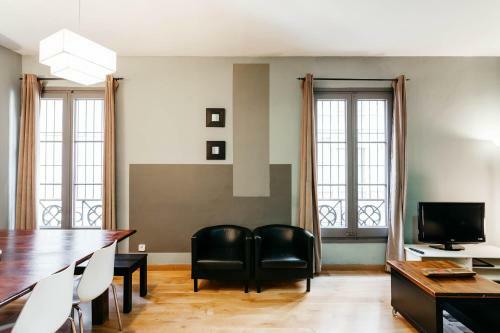 This apartment has a living room with a flat-screen TV, a DVD player and a sofa. 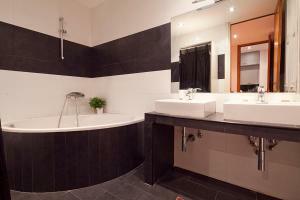 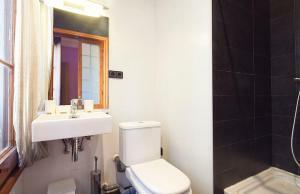 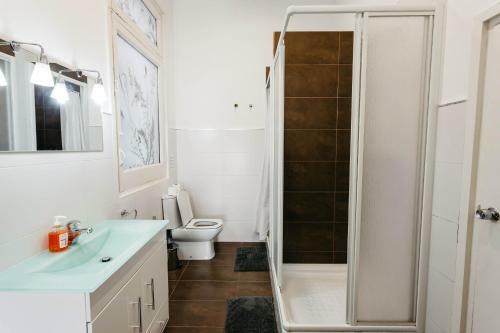 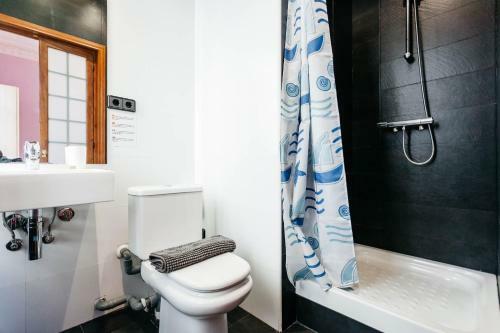 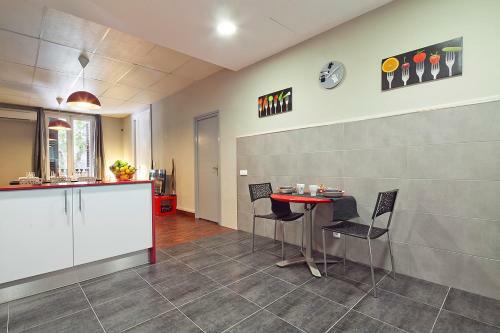 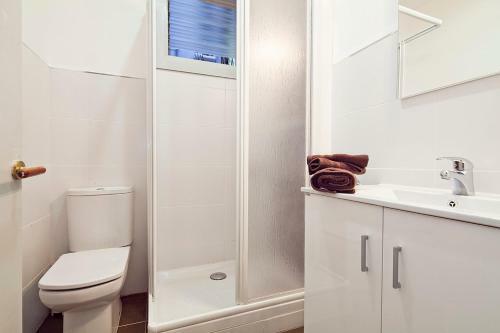 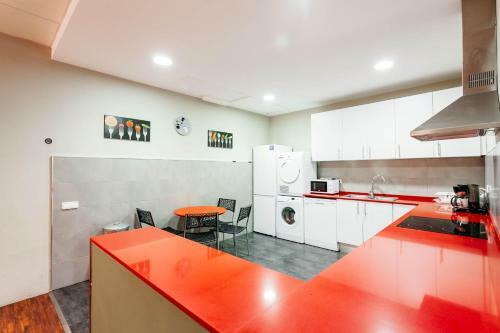 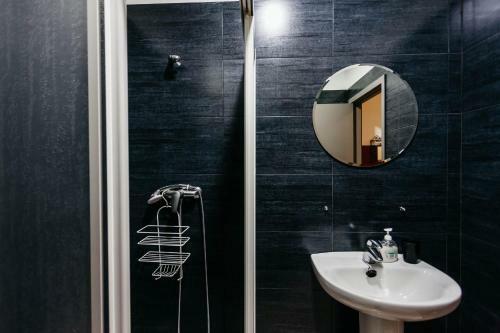 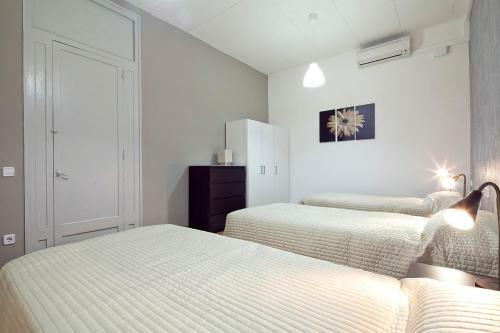 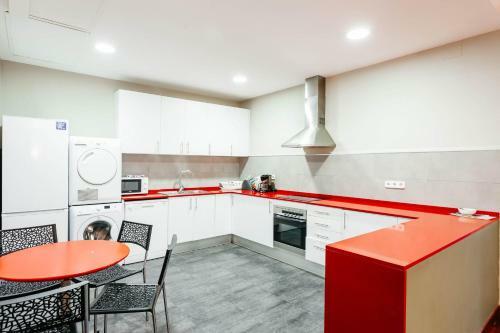 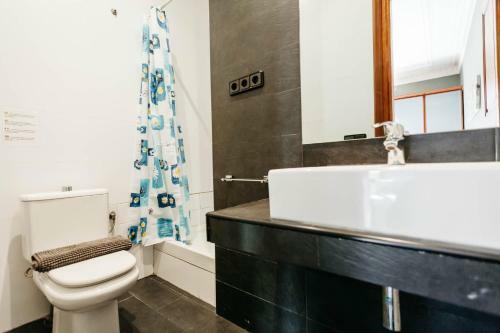 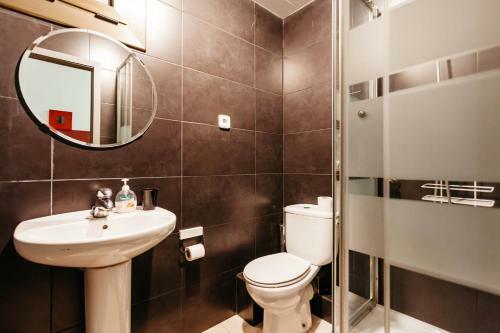 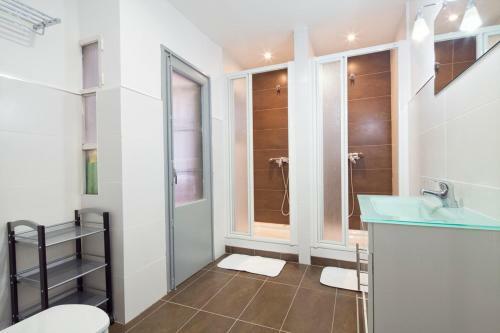 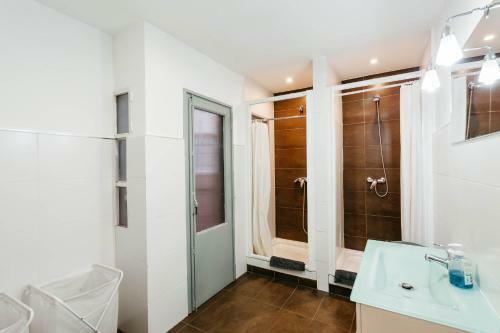 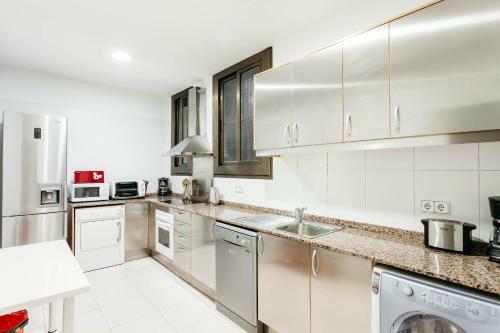 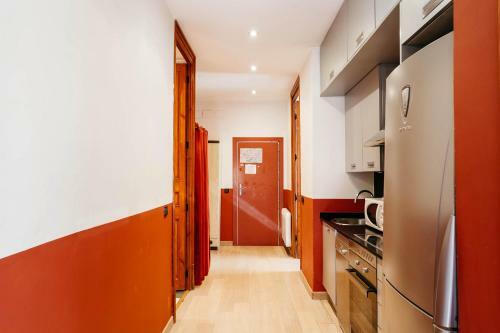 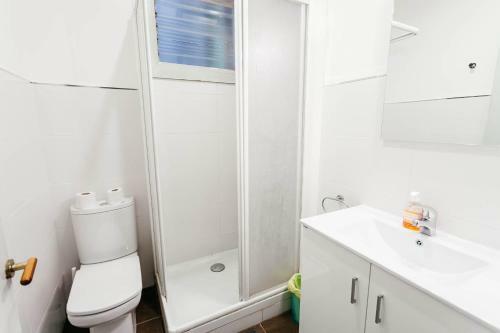 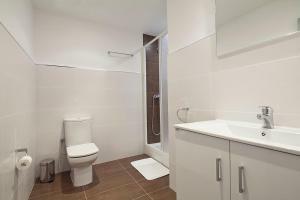 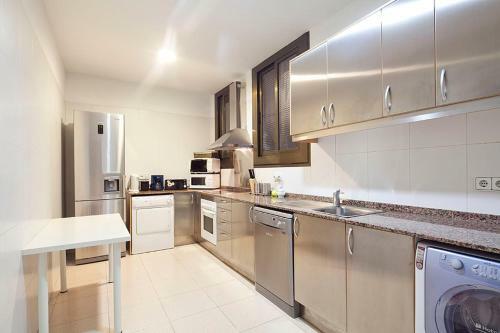 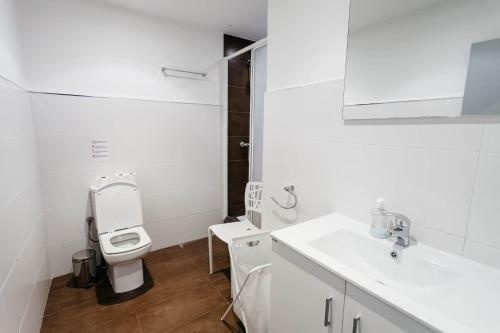 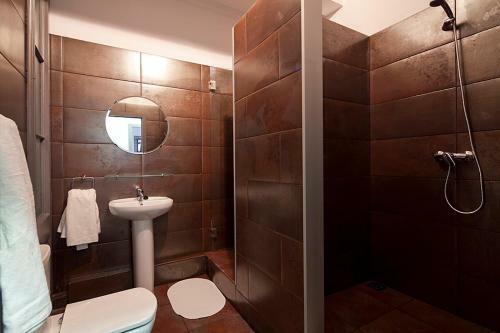 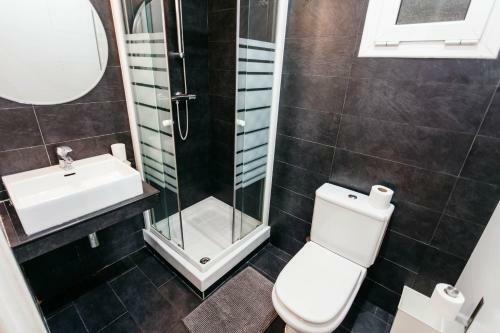 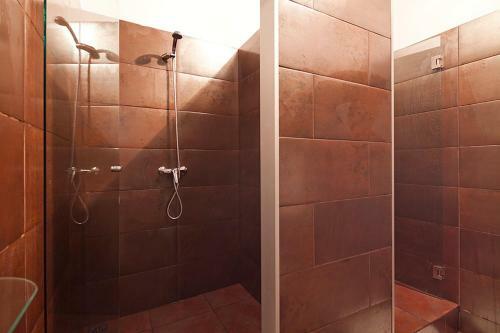 The fully equipped kitchen includes a dishwasher and an oven, while the 2 bathrooms feature a hairdryer and a shower. 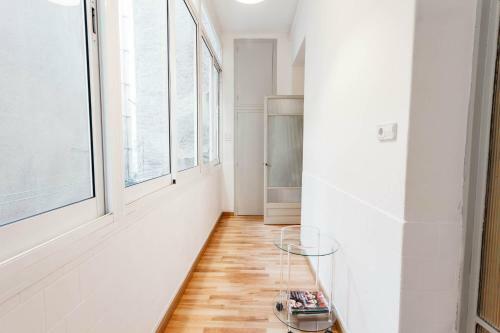 The apartment also has a balcony featuring city views. 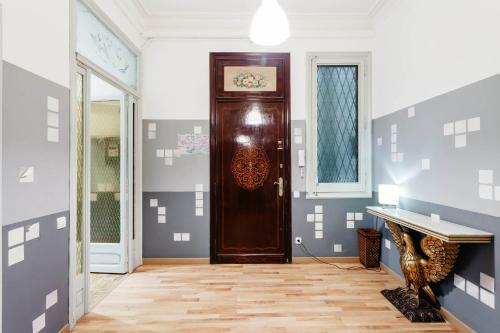 Address: Gran Via de los Corts Catalanes 561, Escalera derecha, Principal 3. 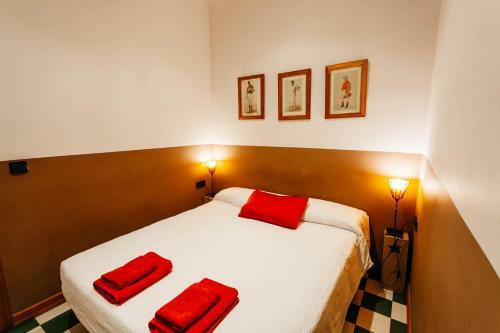 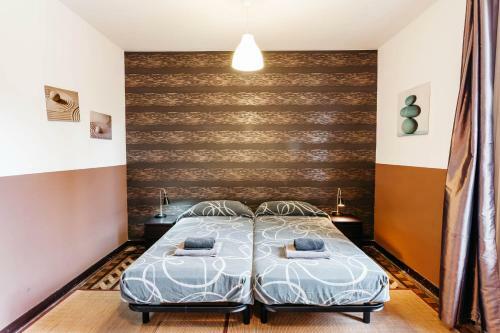 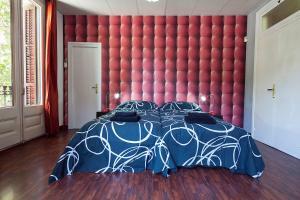 Rate: € 150.00 ... € 483.33; select dates below to get current rates. 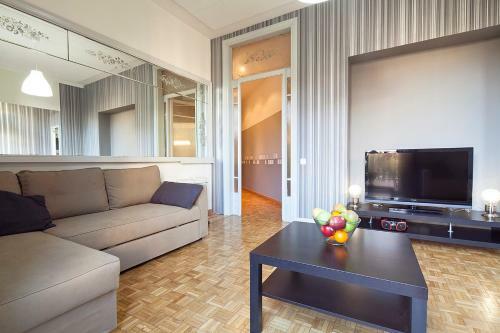 This apartment has a living room with a flat-screen TV, a DVD player and a sofa. 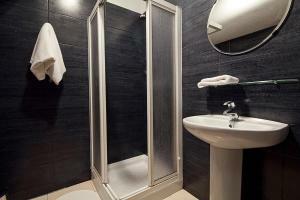 The fully equipped kitchen includes a dishwasher and an oven, while the 2 bathrooms feature a hairdryer and a shower. 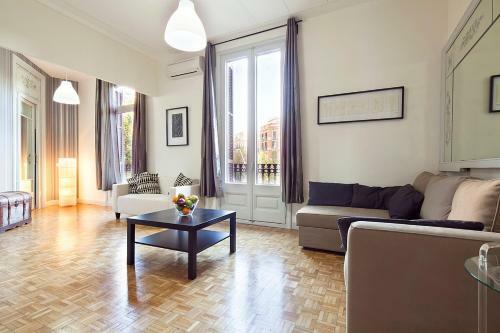 The apartment also has a balcony featuring city views. 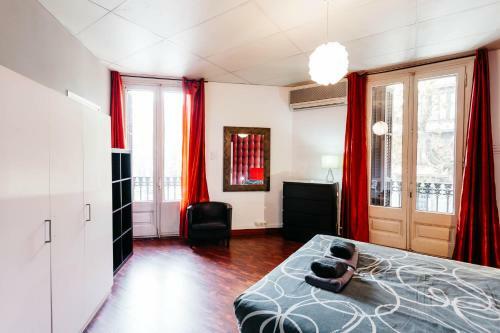 Address: Gran Via de les Corts Catalanes 571, Entresuelo 2. 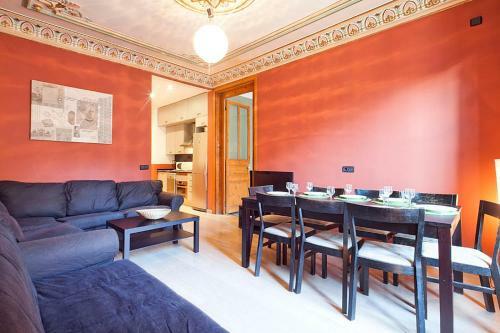 This spacious apartment has a living room with a flat-screen TV, a DVD player and a sofa. 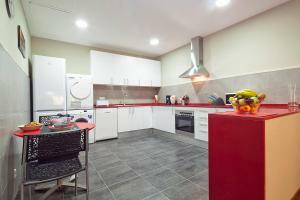 The fully equipped kitchen includes a dishwasher and an oven, while the 3 bathrooms feature a hairdryer and a shower. 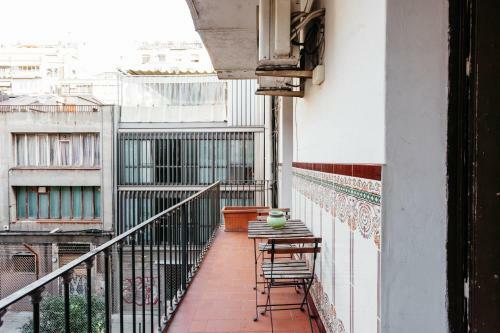 The apartment also has a balcony featuring city views. 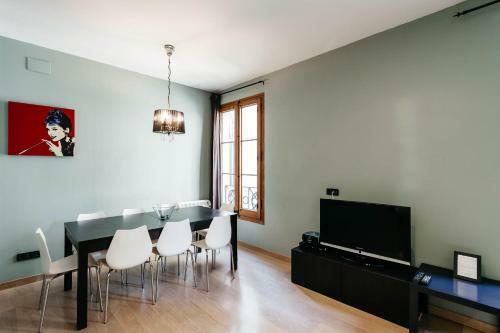 Address: Gran Via de les Corts Catalanes 571, Principal 1.